Microsoft is experimenting with a new PowerPoint add-in that will allow users to present slides in a foreign language. Microsoft executive Harry Shum demonstrated the new add-in on stage at the company’s Build developers conference today. Presenters can download Microsoft’s Translator app and sync it to a PowerPoint presentation. This link will then provide closed captioning on top of PowerPoint slides automatically. Microsoft’s demonstration wasn’t perfect, however. The translator failed to pick up Shum’s Chinese several times, before eventually translating it successfully. 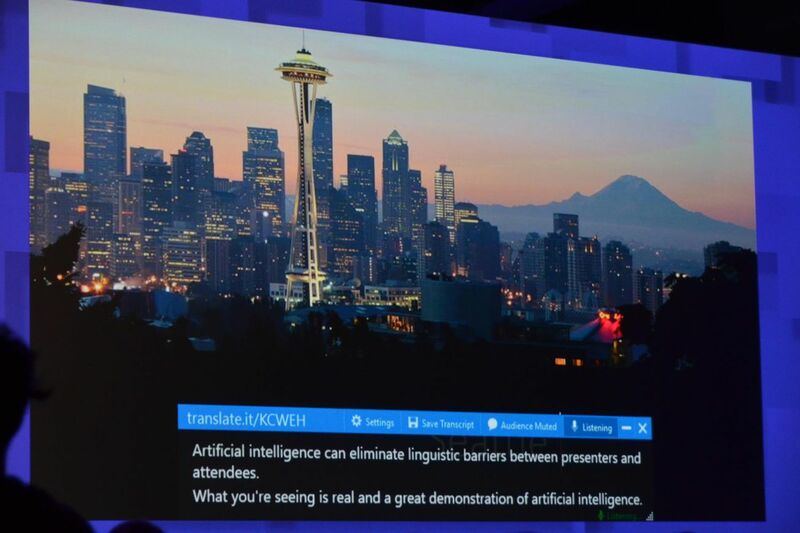 Microsoft is previewing this new tool today at the company’s Garage site, and it’s hoping the translator is the latest tool to help eliminate linguistic barriers between presenters and attendees.